Since then we’ve released five core rule sets to cover everything from the Ancients, the Horse & Musket era, the Black Powder era, right through the World War Two and beyond into the future! 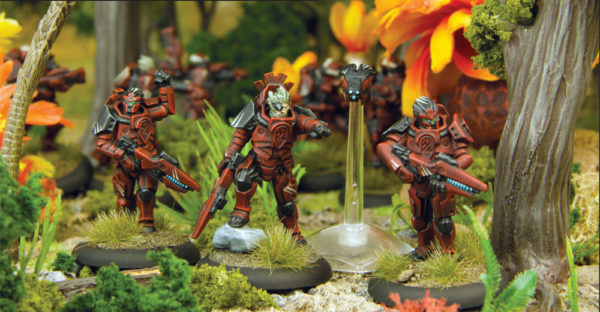 We’ve developed an extensive range for each of our systems – with the core units available as plastic miniatures, reinforcements in metals, and larger units produced in resin. 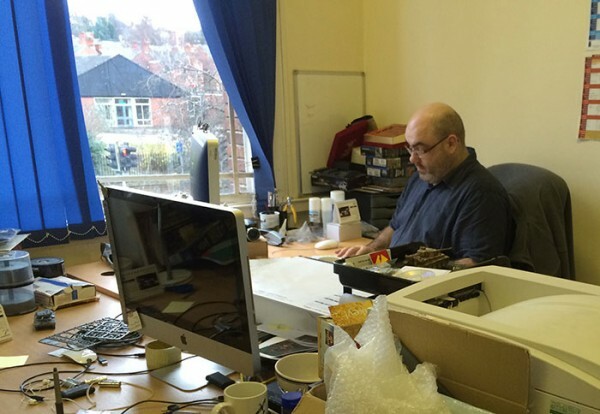 The vast majority of the process (from game and miniature design, sculpture, mould making, production, and packing) are performed in-house, at our HQ deep in the heart of wargaming’s spiritual home, Nottingham. 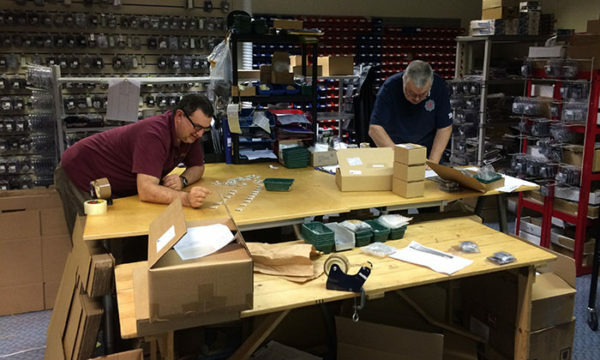 We’re extremely proud to work in close partnership with the likes of Osprey Publishing, Italeri, Sarissa Precision, Cutting Edge Miniatures and many other fantastic companies to offer the finest range of 28mm miniatures and accompanying rule systems in the world! 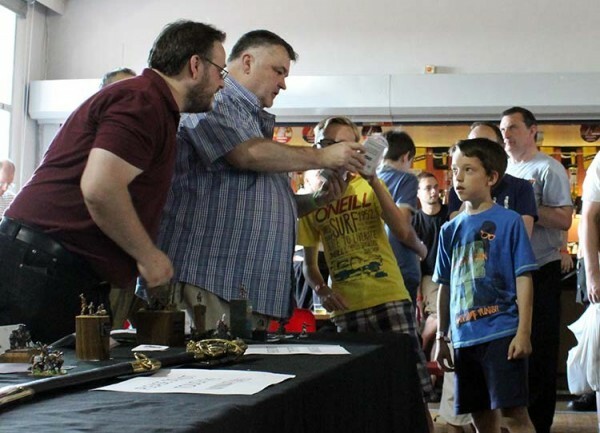 To give an overview of the history of Warlord Games, we put your questions to the two top dogs – John Stallard, and Paul Sawyer. 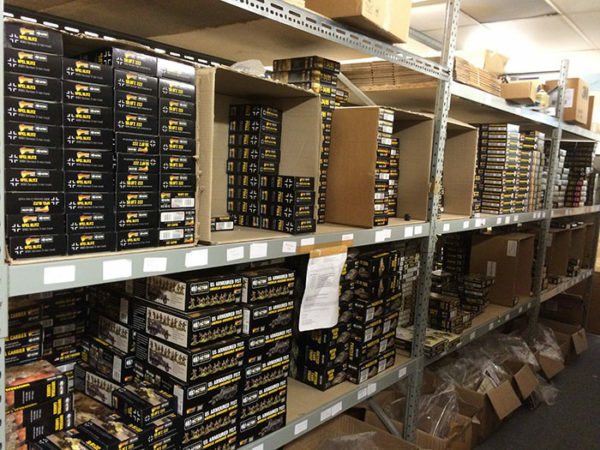 The History of Warlord Games – How did Warlord Games start, and what was your vision of the company? JS – Back in October 2007, myself and Paul Sawyer found ourselves made redundant having worked for many years at Games Workshop, and instead of getting real jobs, we thought ‘‘Why don’t we get together and make some plastic Romans in 28mm scale?’’ – at that time, nobody had really made plastic Historical miniatures… so we contacted our good friend, Bob Naismith – and there – sat around my kitchen table, Warlord Games was born. PS – So following the success of our first product – the Roman Legionaries Boxed Set, we thought ‘‘if we’re going to do Roman soldiers, we should probably give them something to fight’’ – so came the Celts… it made sense to have a Dogfight Double – goodies and baddies… there were lots of options, because the Romans seemed to fight anyone and everyone! JS – We landed on Celts due to the flexibility that they presented – and as we considered making Germanic tribesmen, Dacians, Parthians, or any number of other enemies of the Roman Empire, the Celts offered the most bang for our buck..
PS – Plastic Injection Moulding is a fabulously expensive process – and we found that by producing a Celt Warrior tool, we could take the basic plastic sprue and – by adding metal components or altering the metal tool slightly, we could create a variety of kits. PS – For example, we started with our Roman Legionary plastics – and with relatively little work, we could alter them to produce battle hardened Veterans, and the noble Praetorian Guard – effectively getting three kits from the one core metal tool. PS – John’s great passion is the English Civil War – and by boxing clever, we did Royalist and Parliament infantry (which look remarkably similar)… and the same for the Royalist and Parliament Cavalry Boxed Sets… through clever use of moulds, we could use bonnets to make Covenanters, Dragoons etc… and the same for Swedish and Imperialists for the 30 Years War by adding extra bodies, Morions and metal components. JS – We had no great plans to produce metal miniatures, or resin tanks… but things evolve – if anyone tells you that their company is exactly how they planned it seven years down the line, they’re liars – things inevitably and unavoidably change as you go down the line – and Warlord Games is no different – we’ve evolved constantly. How would you describe the voice and the character of Warlord Games? 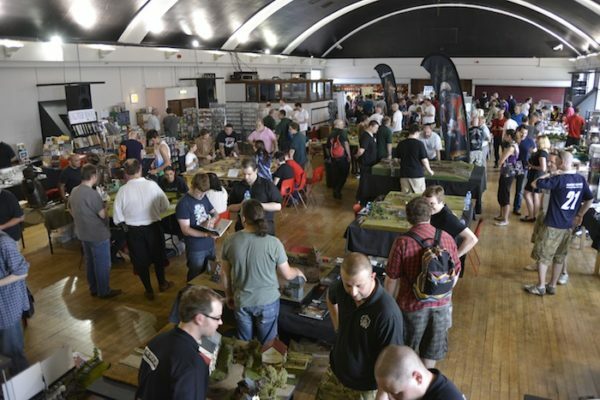 JS – The feel of Warlord is different to most other companies… the way that I envisioned it was to be the meeting point where Airfix excitement met Games Workshop excitement – a blend of the historical and the fantasy. JS – I was very keen on dynamic models – I know that some people like their models to all be standing thick and fine, in neat regimented ranks – and that’s fine too – but if you look through our range, you won’t find a standard bearer standing still – he’s fighting with a sword or a pike, getting stuck-in and leading-on the boys… there’s pathos in there – character and heroic subject matter. PS – We prefer animated models – don’t get me wrong, our stuff is very well researched – but if there’s a choice between perfect historical accuracy vs a fantastic model – we’ll take a great model every time. PS – What is the voice of Warlord? – slightly blokey, cheeky-chappy stuff… we’re about beer and curry and good laughs – that’s our tone… how you’d talk to your mates in the pub – but without the nob gags. JS – Previous experience from our time at Games Workshop had taught us how to run a miniatures company – and although model soldiers are great – you need a system to fight them around… through the generosity of Rick Priestly came Black Powder – a rules set that he and Jervis Johnson had worked on – Rick sold us the system at the cost of a Curry and a Pound… It’s gone on to become a world record breaking set of rules, having won many awards and plaudits – if you check the hobby magazines, it has become the de-facto set of rules for any games of Horse and Musket period. Rick went on to write a set of rules that he’d always wanted to do – Hail Caesar… a system which has its similarities to Black Powder, set among the Ancient period. These have been joined by Pike & Shotte, covering the English Civil Wars and the Thirty Years War, the Judge Dredd Miniatures Game (in conjunction with Mongoose Games), and most recently our new science fiction game, Beyond the Gates of Antares. 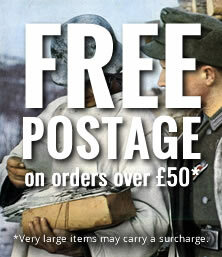 But – probably our best-known system to date is Bolt Action – back in 2008 we bought a tight range of World War Two miniatures designed by the very talented Mr Paul Hicks – the owners were busy with other things, and we took the chance to buy up the fantastic miniatures. 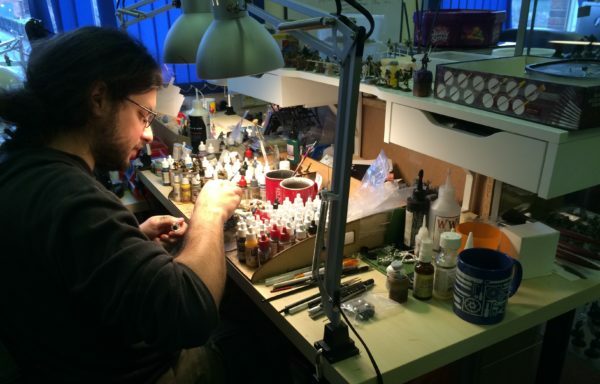 We’ve since spent 5 years adding to the range – working closely with Paul Hicks, and also setting our beloved Wojtek to work… the offering is expanding every week with fantastic, dynamic and exciting miniatures. After a few years of adding to the miniatures range, it became clear that – having a range of miniatures is great, but you need a set of rules to accompany them! 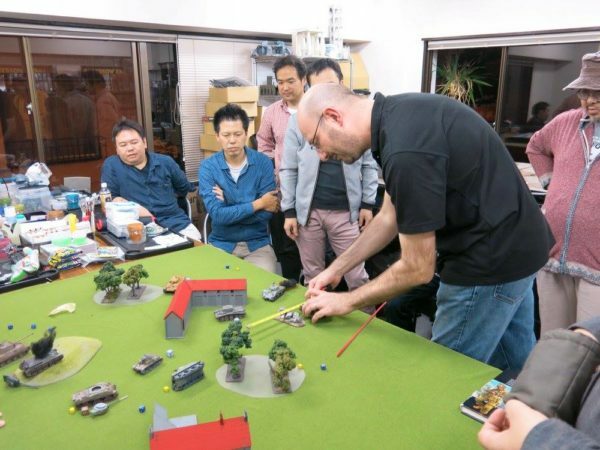 We got in touch with our old friend, Alessio Cavatore who – supported by Rick Priestley – developed the rules set. We partnered with the powerhouse that is Osprey Publishing to help with the printing and distribution of the books – and it has since become their best selling Rulebook, selling-out and being re-printed regularly – with sales heading ever upward, with no signs of slowing. We’ve since expanded further, with the 7 ‘Armies of..’ books to give more details on the specific nations involved, the ‘Tank War’ supplement to offer armoured battles, and at the time of writing we’ve just released the first of our Theatre Books – Battleground Europe, which covers the D-Day Landings to the Allies arriving in Germany. …and that’s not it!…. by any means! 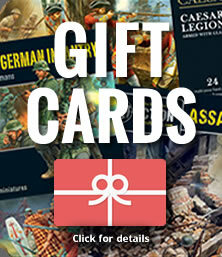 We’ve plenty planned – there are another four Theatre Books on their way… then we’ve got a series of Campaign Books coming (in which we’ll burrow down closer, covering the likes of the Battle of the Bulge, Operation Market Garden etc with lots more historical detail, new troop types, Theatre Selectors, scenarios – and new ways to play Bolt Action). There will of course be plenty more lovely metal, resin and plastic miniatures (including plenty of plastic vehicles! )… and from there – who knows? On more distant shores, we have our Sales Office in America and Sales Reps around Europe eagerly opening new trade accounts… we’re a growing business, and are always looking for new opportunities to expand into new areas, and to work with new people. 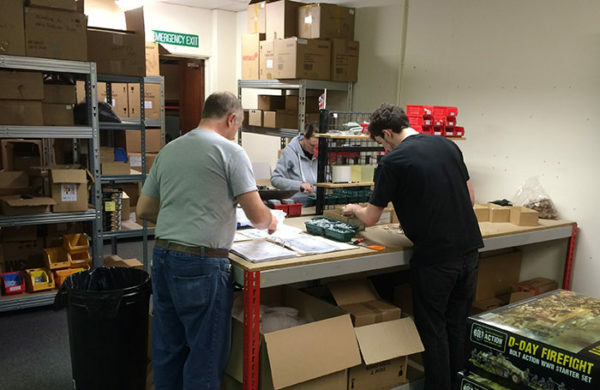 We’ve maintained good relations with as many people as we can – which has allowed us to form and upkeep partnerships with a number of other companies whose products we distribute worldwide… whether it’s producing boxed sets for Conquest Games, Empress Miniatures, Cutting Edge Miniatures, or Mongoose Publishing… as we continue to grow, expect to see more! 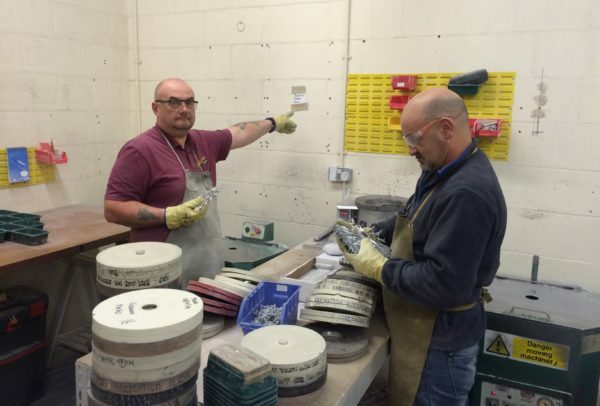 As mentioned previously, we bought Bolt Action and a number of other small concerns… we’re always on look-out to add new great ranges to add to our portfolio… we’ve become quite able at re-presenting product, re-boxing and re-branding, and bringing existing product to new audiences. One of our key aims is openness and approachability – without our fantastic community, we wouldn’t be able to do what we love! Customer feedback is hugely important to us – we know that you folks aren’t shy in coming forward with your thoughts – mostly in a good way – but if we do things wrong, we quickly know about it as well! We do our best to keep an eye on the Warlord Games forums and our Facebook pages in order to respond to any questions you might have, and to resolve any issues which arise, and you can always contact us at info@warlordgames.com. 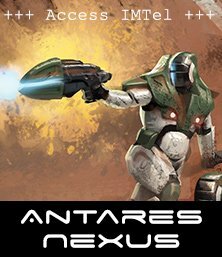 PS – We are just starting down the road with sci-fi – the first boxes for Beyond the Gates of Antares are being printed, and the Beta Rules are out which opens up the playtesting to everyone. Who knows how the system may take off and develop? PS – And of course we always keep our eyes open for partnerships with other companies, or taking on other ranges… We’re not planning to release Ninja Zombies – but if a fantastic range comes along, we’ll consider it! 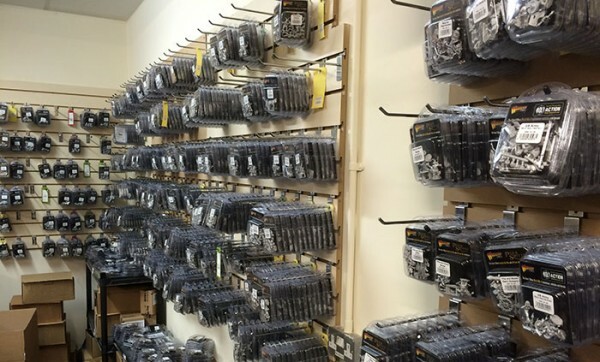 JS – We’re very proud of Warlord – it’s done well in 10 years – which is down to our staff, who are always cheerful despite us asking a lot of them – and our customers – we love it when you pop in and see us, drop us a line.